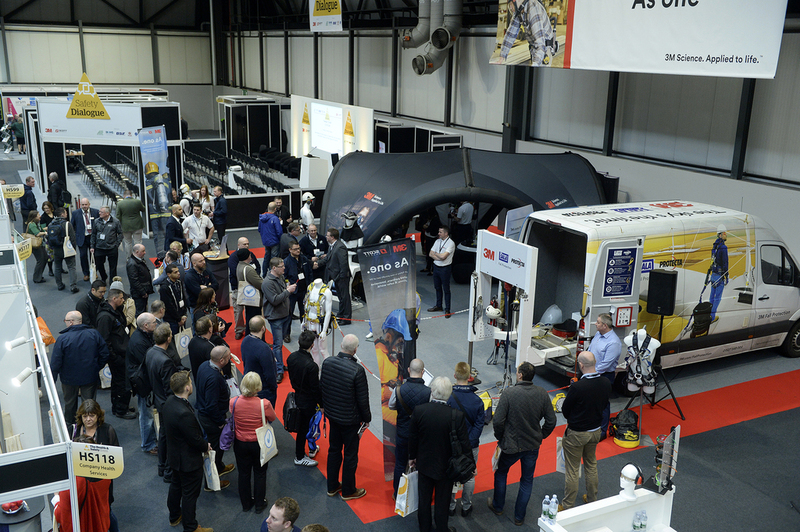 HSM HAS created a 31 page digital magazine, which previews the Health and Safety Event that takes place on 9-11 April 2019 at NEC Birmingham. The Health and Safety Event is the opportunity of the year for anyone responsible for running a harm-free, productive workplace to learn about the latest products and services that will help them do so. 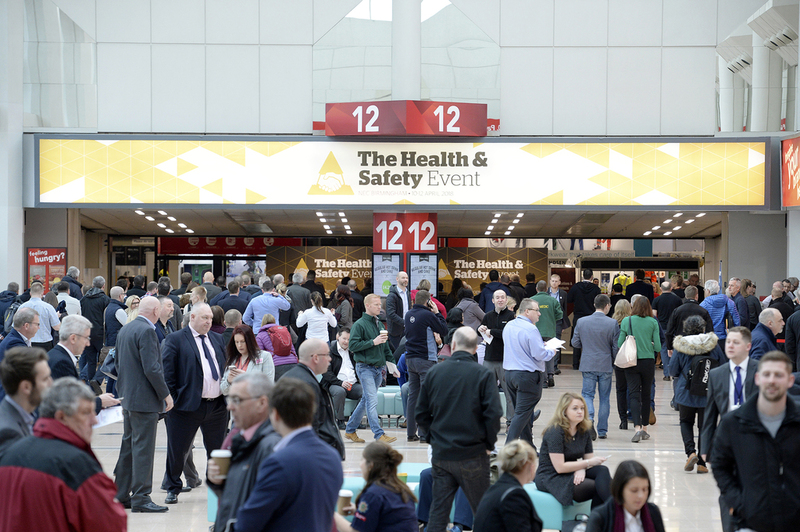 This spring will see The Health and Safety Event, the UK’s fastest growing event for the health and safety industry, return to the NEC for the sixth time. The event will gather the industry’s leading product manufacturers and service providers under one roof. The resulting wealth of innovation, solutions and expertise available to health and safety duty-holders will be second to none. Join the conversation and register today for live debates, interactive Q&A sessions and the chance to network with thousands of peers. Co-located with The Security Event, The Facilities Event and The Fire Safety Event, The Health & Safety Event has built a deserved reputation among industry professionals for providing the perfect networking and educational opportunity to anyone responsible for running a safe and efficient workplace, anywhere in the UK. In a fast-changing world of work, keeping up with key changes is more important than ever. With that in mind, throughout the three days the key educational programme will be delivered in the Conference Theatre, the content for which has been curated by the event’s official educational partner, the British Safety Council (BSC). Using its considerable experience and expertise as one of the world’s leading health and safety organisations, the BSC has handpicked a line-up of eminent speakers, who will share their thoughts and ideas on the main challenges facing the profession today. This series of seminars will examine the latest developments in health and safety legislation and discuss the future implications for the sector. There is also an opportunity to discuss and raise questions to the panel of experts including representatives from the regulatory body, The Health and Safety Executive (HSE). Focusing on workplace health, wellbeing and disability in the modern workplace, these sessions investigate the most significant issues affecting workers’ wellbeing. Expert speakers will share best practice on the most effective ways of ensuring the long-term health, wellbeing and productivity of today’s changing workforce. The final series of seminars highlights the importance of leadership and top management commitment within the workplace. Expert speakers will discuss the role of top management in promoting a positive organisational culture and the issue of diversity within the workplace. The many interesting topics that are sure to stimulate discussion and debate include: the implications, post-Grenfell, for fire safety and regulation; the effects of tougher sentences for breaking health and safety laws; mental health and well-being at work; and establishing an engaged culture. A similarly broad range of speakers and subjects is on offer in the HSM Knowledge Exchange theatre, where panels of experts from the likes of the HSE, NEBOSH and the Access Industry Forum will take part in question-and-answer sessions with the audience on such practical issues as working at height, using respiratory protective equipment, managing noise and vibration, and working in confined spaces. Lone working and safer logistics are the themes of the two specialist educational features at the event. The Lone Worker theatre will play host to representatives from various industries in which lone working is a factor, who will discuss the likes of ensuring personal safety while visiting clients, technological and behavioural controls, and duty of care towards lone workers. The Safer Logistics theatre, meanwhile, is a must for any practitioner responsible for ensuring the health and safety of people working in warehouses, logistics hubs and transport fleets across the land. Featuring expert guidance and advice from such well-known entities as Toyota Material Handling UK, the Forklift Truck Association and the Chartered Institute of Logistics and Transport, the programme will tackle, among other topics, HGV driver health, forklift and rack safety. As well as the top-notch information and expertise available via these educational programmes, visitors to The Health and Safety Event can get practical, one-to-one advice from more than a hundred products and services suppliers exhibiting at the show. Training specialists such as Alcumus and EssentialSkillz, product innovators such as Specsavers and Skyguard, service providers such as Chemdoc and NQA Certification Ltd and PPE suppliers Ejendals, Moldex and MAPA will all be on hand to offer advice, demonstrate equipment and technology, and answer questions. All the leading industry and professional bodies, such as the British Safety Council, HSE, IOSH, NEBOSH and the BSIF, will also be present to advise on how to have a rewarding and successful career in health and safety. And speaking of rewards and success, the Safety and Health Excellence Awards will also take place during the event, on Wednesday 10 April, at the VOX Conference Centre on the NEC site. The awards celebrate innovation and achievement of the highest standards in the health and safety profession and industry. Winners in 14 different categories will be announced over the course of an enjoyable and entertaining evening. Tickets include drinks reception on arrival, a sumptuous three course meal, 4 bottles of table wine per table, live entertainment, a comedy set from our host Sean Lock, live music and of course the Awards themselves. Laughs, legal updates, leading speakers, latest launches and, above all, lots and lots of learning opportunities make the Health and Safety Event 2019, together with the co-located Facilities Event, Fire Safety Event and Security Event, a must for your diary. Don’t miss the perfect opportunity to combine a year’s worth of training, research and professional education into just three days.